Originally out on a double LP, this is a definitive set of the Louis Armstrong All-Stars of 1956. 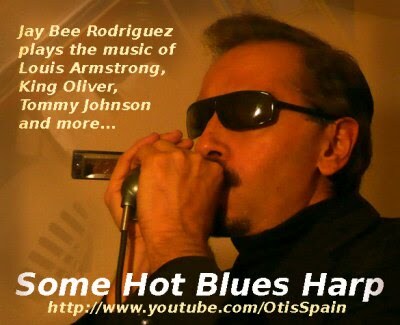 The music and many of the solos will be familiar to longtime Armstrong fans, but whether it be "Struttin' with Some Barbecue," "Basin Street," or his then-new hit, "Mack the Knife," the spirit and enthusiasm of this music is irresistible. This is his best live set in the '50s. 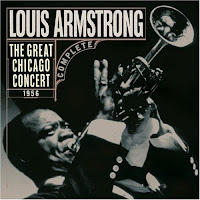 The CD reissue, a two-CD set, is slightly more complete than the two-fer LP in that it adds a version of Armstrong's theme song, "When It's Sleepy Time Down South," a closing "Saints" that allows Satch to introduce his band, and a straightforward rendition of "The Star Spangled Banner." hey jaybee, good stuff you got here. just added your blog to our bloglist. just one request: is there a way to stop the music that comes on automatically from your mixpod for us visitors who's already got music going on from our playlists? thanks. @azzul: You can just click on the lower button of the "iPod" to stop/play the music.